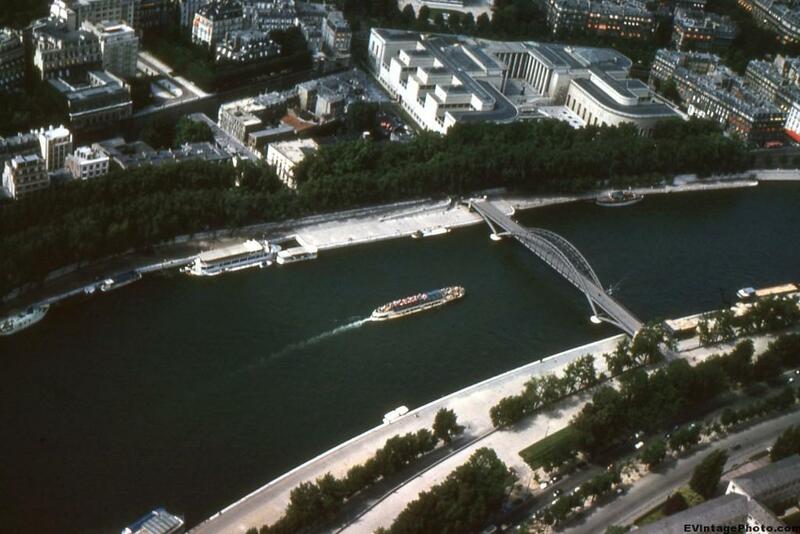 From an unknown date, two slides labeled “La Tour Eiffel.” Unfortunately the view is FROM the Eiffel tower, not OF the Eiffel Tower. Of course, I hear that the owners of the tower like to sue people who post pictures of it. So I’m probably better off posting the FROM pictures instead of the OF pictures. But we have an great view. 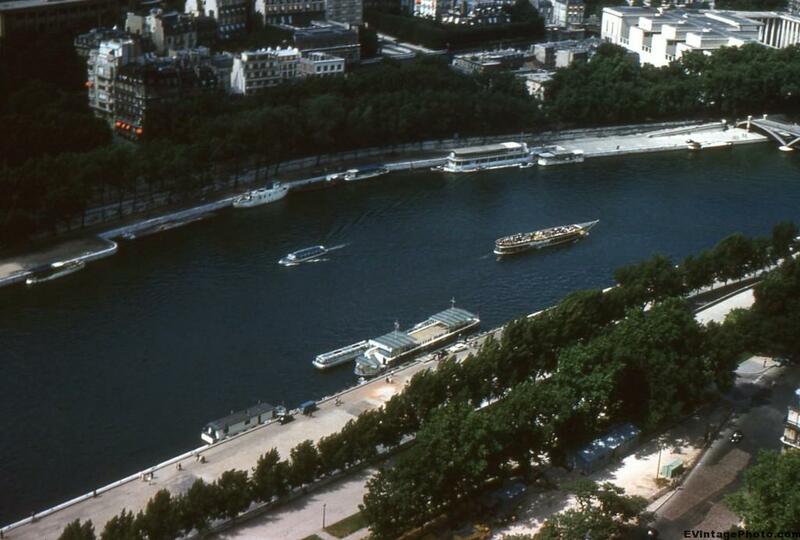 There are several interesting boats in the Siene River, mostly tourist boats it looks like but a few pleasure craft. The vehicles down by the river bank look pretty interesting, I have to worry if that actually is a road there or not.